A study published by the New England Journal of Medicine in 2003 examined senior citizens 75 years of age and older to find out if leisure activities help the seniors’ risk of dementia. Interestingly, the study found that “dancing was the only physical activity associated with a reduced risk of dementia,” which is extremely positive news about the benefits of dance! Practically, we as a community know that dance is good for mental and physical health, but now there is scientific evidence to support this point of view. 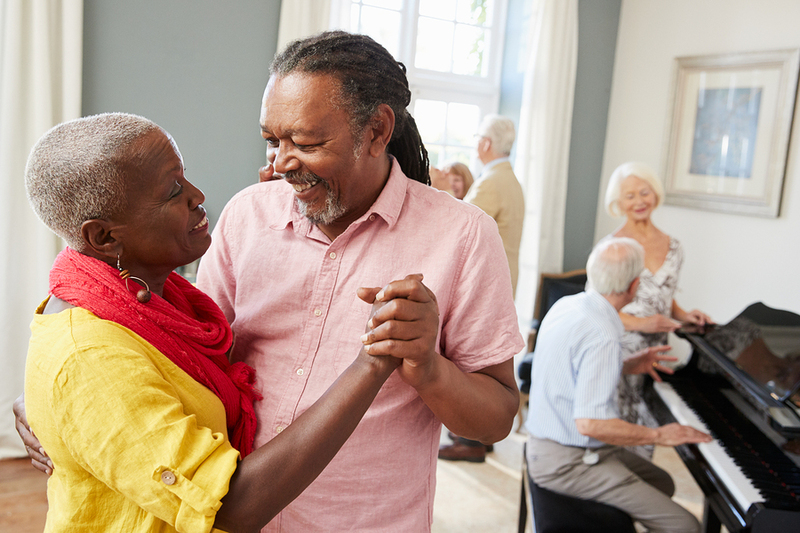 Not only is dancing fun and engaging, but it requires us to use our cognitive thought processes, which is extremely important in the reduction of risk for dementia. When you dance, you have to use quick decision-making processes that exercise the neural pathways in your brain, thus making you mentally stronger and smarter! So do you want to live a long, healthy, and non-forgetful life? DANCE! Check out the New England Journal of Medicine study here!